Colloid conference is delighted to welcome the participants from all over the world to attend the prestigious International Conference on Colloid. The conference provides the global coliseum to international scholars and researchers to voice their research findings to the world. With representatives from all the major countries in attendance the atmosphere is exciting with open and friendly interaction between attendees. The conference provides an opportunity for the colloid and surface industry to learn about current and upcoming issues, explore new developments in culture technology, and interact with others with similar interests. The Cephalopod International Advisory Council (CIAC) was founded in 1983 to stimulate, accelerate and influence the direction of cephalopod research; to provide help and advice on aspects of cephalopod biology, including those relevant to the management of cephalopod fisheries; and to spread information on past and current research. The ICOEE 2015 will bring together reseachers, professionals, administrators, regulators, NGOs and policy-makers to exchange ideas, identify research and resource need for the better management of ecosystem and public health of aquatic and marine areas, and to discuss the development of environmental and ecotoxicological sciences, from nano, mollecul, cells, individuals to community. 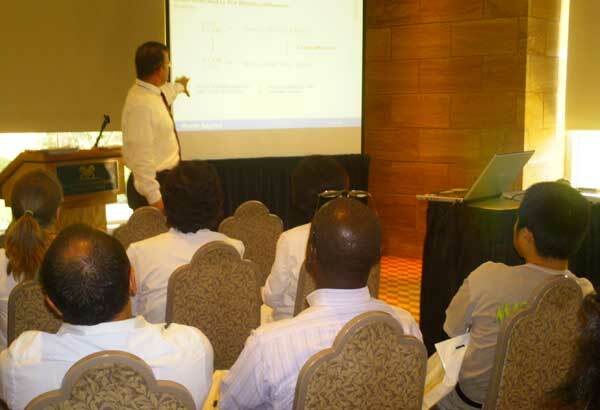 Aquaculture 2013, which was held in Las Palmas during 3-7 November 2013, was a great success with over 400 participants attending and experiencing the innovative and original oral and poster presentations. The overarching theme of the IPW2015 is "Scallops in the Changing World" Research is proceeding actively on many fronts as we attempt to understand the biology and manage the industry against a backdrop of climate change and ocean resource management. Will provide in depth analyses of well studied gene regulatory networks (GRNs) in both embryonic and post embryonic developmental systems; a comprehensive theory of developmental GRN structure and of the explanatory value of GRNs; and discussion of the rapidly growing area of GRN evolution. This 10 day course offers theory and hands-on training in the design and implementation of image processing software required for the quantitative and mechanistic analysis of light microscopy data in cellular and developmental biology.